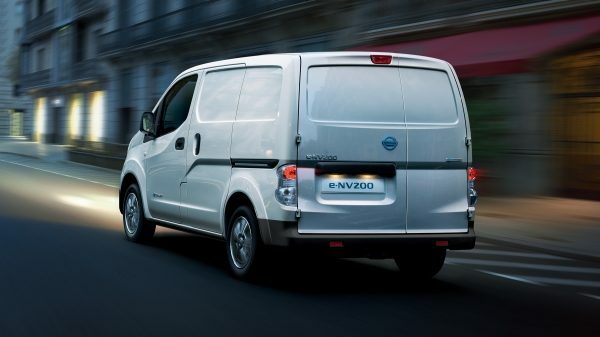 The versatile e-NV200 considers every way you may want to use your vehicle. With 3 configuration options, 4.2m³ of load space and 5 or 7 seats that can fold down in multiple ways, the interior of this 100% electric commercial vehicle is designed to work around you. 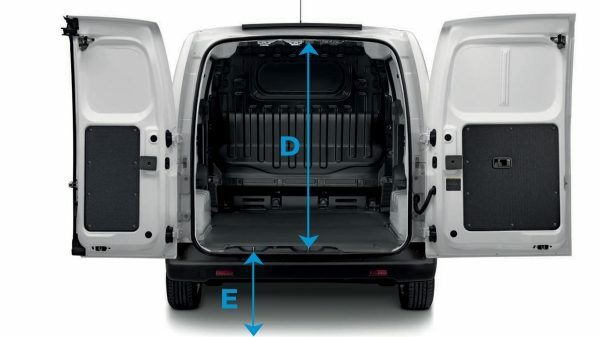 With 4.2m³ of load space there is enough room for 2 Euro Pallets or 705kg of cargo. It’s also easily accessible with wide opening 60:40 split rear doors and sliding side panel doors. Need a van to transport people and goods? 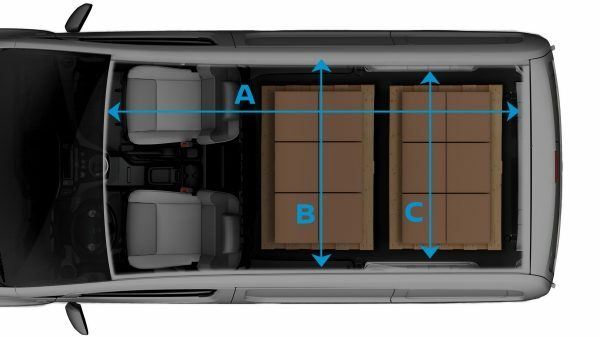 Opt for the 5-seat configuration and you'll still have 1.9m³ of cargo capacity available. If your business is carrying people rather than boxes, opt for the 7 seat configuration. There is room for seven people and luggage in comfort. 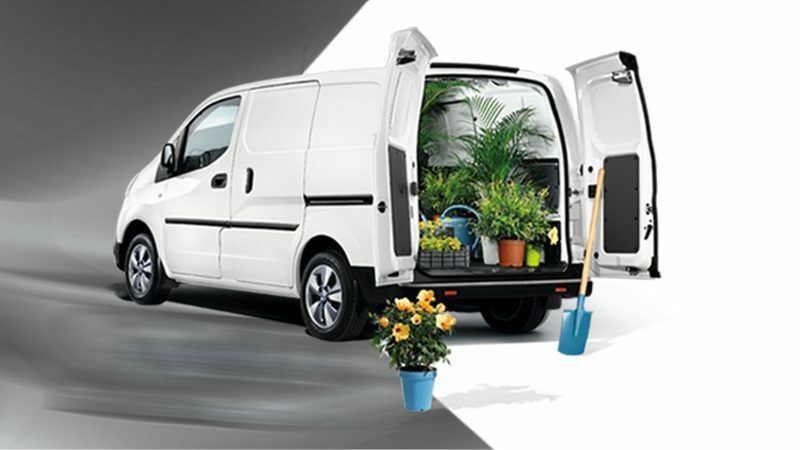 There is plenty of room, whatever the task, in the Nissan e-NV200. With 4.2m³ of load space and a load height of just 52cm, it can handle cargo of all shapes and sizes, whilst loading and unloading is easy. With up to 1.36m of height and up to 2.8m of length, there is plenty of room to fill up as needed. Configure your e-NV200 interior to suit you. 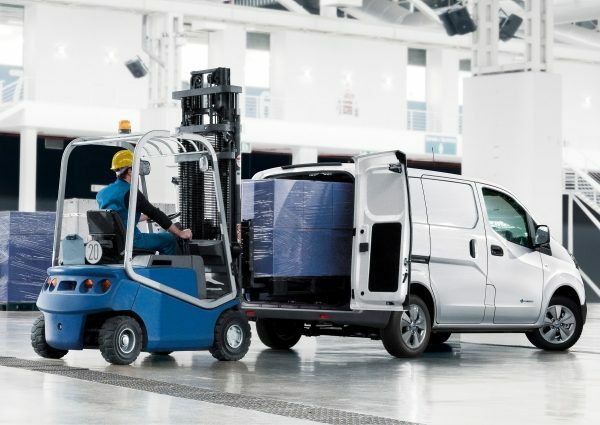 With 4.2m³ of load space which is easily accessible through wide-opening 60:40 split rear doors and a sliding door on each side, the e-NV200 makes light work of the heaviest job. 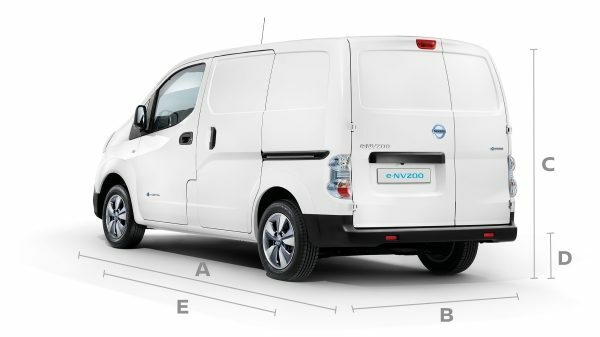 Thanks to its compact exterior dimensions and spacious interior dimensions, the Nissan e-NV200 is an electric van that brings you the best of both worlds. Not too long and not too wide, it's just right for navigating the city. With a turning circle of just 11.1m, manoeuvring in and out of narrow city streets is a breeze in the Nissan e-NV200 Van. Drop off one delivery before getting back on the road quickly and easily, the e-NV200 is designed to be as adaptable as you. 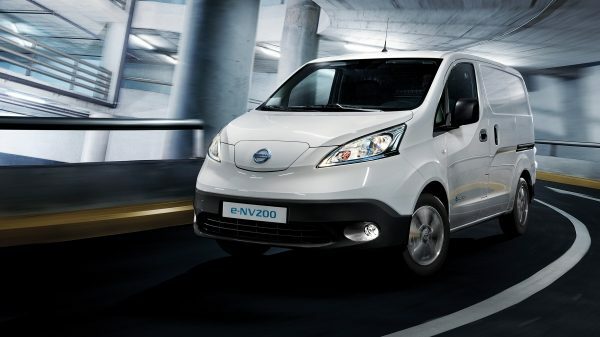 The urban maze is child's play with the e-NV200, the electric van that loves life in town. Back up, turn around, squeeze in an out… Parking is simple, even in the city centre. All this with zero emissions whilst driving! 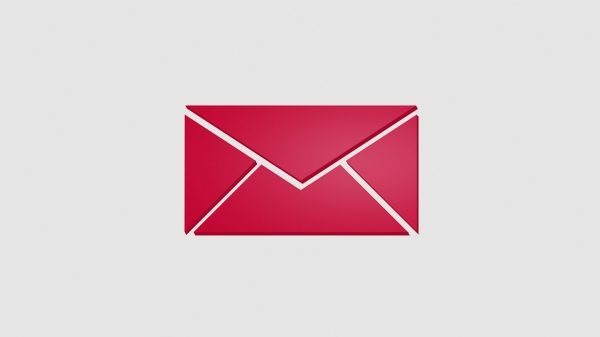 Find out what's happening at Nissan with our online newsletter - for all the latest info on products, services and tempting offers.